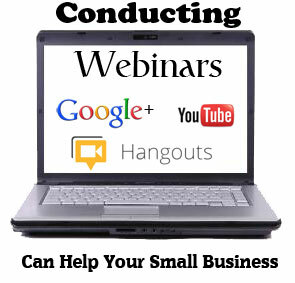 Once you have watched and/or participated in webinar as a guest or viewer, you might start thinking how conducting your own webinar might help your small business to gain exposure to not only new potential clients, but also to educate existing customers about how better to use your product or service. The pitfalls some businesses encounter happen when they try to turn their webinar into an hour-long commercial and do not offer a benefit to the viewers or participants. Use your webinar as an online training session and not a commercial. There are three types of webinars which you can use to carry out online training; non-interactive webinars, interactive webinars and Q&A (Questions and Answers) webinars. The idea behind a non-interactive webinar is that it allows people to see your screen and hear your voice while you are demonstrating something that is useful to them. Your initial webinar experience may be a bit intimidating, so it may be best to practice it in front of colleagues or family. Concentrate on the presentation and not how those watching are receiving your message. The more planning you put into your PowerPoint, Adobe Flash or other slide presentation, the less anxious you will be narrating it and spending the right amount of time on each point. Once you have practiced and conducted several non-interactive webinars and have received follow up comments and suggestions, you may want to try to conduct an interactive webinar that allows for questions during your presentation that are relevant to the portion of your webinar you are talking about. Often by taking some of these questions, you can clarify your recent points and help your audience to have a better understanding before moving onto your next point. There are many webinar hosting services such as Gotowebinar, Adobe Connect, ClickWebinar, MegaMeeting, AnyMeeting and many more that offer flexibility and control for your webinar environment. The costs for these services varies, but so do the types of pricing plans. While some offer pricing as a pay-as-you-go service, others require a monthly commitment. Be sure to find the right hosting for the numbers of guests that you anticipate and the number of webinars you plan on conducting each month or each year to find the package that works best for you. Most online webinar hosting services have the option to allow attendees to type any questions that they have into a question box or chat window. This allows the people attending your live training to direct the conversation in a specific way and allows you to respond to relevant questions at the appropriate time in your presentation. The last type of webinar, a Q&A webinar, is highly interactive and is the simplest webinar to run since it requires little ifr any preparation – except to know your topic well. All you have to do is answer the questions that get posted or emailed to you. It is best to answer some questions that have been sent in advance by email to allow more questions to come in during the webinar. As more participants see that questions are being answered live, more will submit their live questions as well. When doing your first non-interactive webinars, doing them from your office space or a quiet room in your house is fine. Make sure that you have a reliable and fast internet connection, especially if you are streaming audio or video. 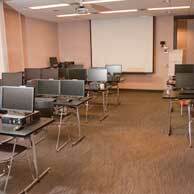 Interactive webinars with video and audio often require more dedicated bandwidth. Even though your webinar is being hosted by an online webinar service, you still have to consider how fast your upstream is for your data. You also want to make sure that comments, questions and audio questions or videos are getting to you in a timely fashion. The idea of allowing interaction and live audio questions is great – but if you don’t get them before you have moved on, then you have missed an opportunity to answer them when it is most relevant. 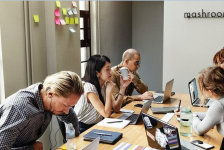 For more interactive webinars that require more bandwidth, many webinar organizers will utilize a boardroom or daily office rental in an office business centre. This way a moderator does not have to worry about having enough dedicated high-speed connections that have ample bandwidth for any type of webinar. The full-day price of a boardroom or day office is not expensive and is worth the peace of mind. Some business centres that offer office space may also rent day offices and boardrooms by the half day. Once you have mastered the single-moderator webinars, you may want to try combining a live seminar with a webinar audience to have more interaction. Utilizing a seminar training room at an office business centre like Telsec can allow for the space to include different guest speakers or panelists and allow them to also talk as part of your webinar. When conducting a larger seminar/webinar with multiple speakers and guests, having a production person to mute and unmute different microphones can be very helpful. You can even entertain live questions from one of the people attending your live training sessions by having a designated person taking a cordless microphone around the room, rather than asking them to type their questions online. Working From Home: It Sounds Great in Theory, but Will it Work for Your Small Business?